Qiagen, a leading company in the field of diagnostics that employs 4,700 people in over 35 locations worldwide, has agreed to acquire all shares of STAT-Dx with headquarters at the Barcelona Science Park for approximately €154 million. Investors of STAT-Dx including Ysios Capital, Siemens Ventures Capital, Kurma Partners, Gilde Healthcare, Boehringer Ingelheim Venture Fund, Caixa Capital Risc, among others. This operation confirms the great period the biomedical industry is experiencing in Catalonia, "both in terms of investment and in terms of acquisitions" comments Raúl Martín-Ruiz, partner of Ysios Capital and responsible for investment in STAT-Dx. "Our decision to support the company&apos;s development since its inception in strategic and financial aspects now translates into a clear success story and, above all, for patients, since Qiagen will market an innovative diagnostic solution that will mean important savings for the health system" explained Martín-Ruiz. After receiving a total of €48 million in three funding rounds, the company has developed DiagCORE®. It is a diagnostic system that can process any type of sample without prior preparation and provides the result of up to 48 molecular targets simultaneously to diagnose, among others, serious respiratory or gastrointestinal infections, as well as its use in oncology. “We are excited about accelerating the commercialization of our technology to bring fast, cost-effective syndromic testing closer to care for patients and healthcare providers" says Jordi Carrera, co-founder and CEO of STAT-Dx. More information is available on the al Ysios Capital website. 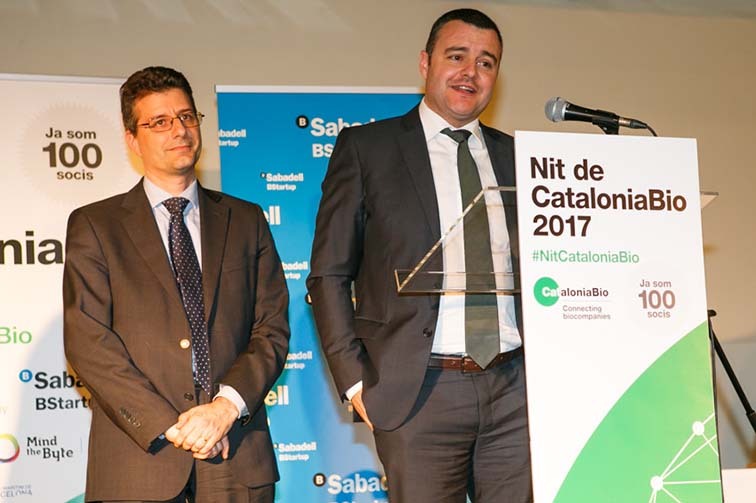 Photo: The founding team of STAT-Dx, Jordi Carrera and Rafel Bru, during the 2017 Biosuccess Award ceremony organised by CataloniaBio & HealthTech in Barcelona.